Mantak Chia was born in Bangkok, Thailand in 1944. Recognized very early as having great potential for spiritual development, he was initiated into meditation practices by Buddhist monks at the age of 6. While studying in Hong Kong, he learned Tai Chi Chuan, Aikido and Kundalini Yoga from a variety of teachers. Mantak's pursuit of Taoist teachings lead him to meet the One Cloud Hermit, a Taoist Master originally from Central China, living at that time in the mountains not far from Hong Kong. Master Yi Eng, One Cloud, was to become Master Mantak Chia's principle teacher. Over a period of five years, Master Yi transmitted to Master Mantak Chia the most sacred and closely held Taoist practices, formulas and methods of internal alchemy, culminating in the Reunion of Heaven and Man. Realizing what was transmitted to him, these Immortal practices could not easily be absorbed by western students, Master Mantak Chia undertook to integrate them with his studies in western physical anatomy. Through this process he created a unique view of the internal aspects of these practices. For over 40 years Master Mantak Chia studied meditative and martial arts in Thailand, Singapore and Hong Kong. Using Taoism as a base, he integrated many masters' once-secret teachings into one complete self-healing system. 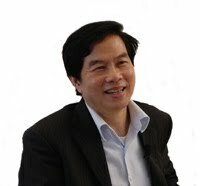 What separates Master Mantak Chia from other Taoist masters is his ability to break a technique down into easy-to-learn steps for non-Chinese. Master Mantak Chia has streamlined and condensed the practices to fit the lives of people who can't devote eight hours a day to meditation. The step-by-step techniques of the International Healing Tao enable those who practice to bring body, energy, emotions, spirit and environment into greater harmony. Mantak Chia is the founder and director of the International Healing Tao in Thailand. His mastery of this ancient knowledge, enhanced by his study of other disciplines, has resulted in the development of the Universal Healing Tao System. With the Healing Tao system, he has created for the first time, a way for any individual to quickly get to the essence of subtle practices whose real purpose has been shrouded in secrecy for millennia. Master Mantak Chia has certified hundreds of Instructors and Practitioners to help in the transmission of these teachings. His sincere wish is that every individual have the opportunity to complete the harmonious evolution of body, mind and spirit. Through these practices the student learns to take personal responsibility for their own physical, emotional and spiritual well being. speaks about our relationship to the Universe.